Situated on the shores of Keoneloa Bay, Grand Hyatt Kauai Resort & Spa is surrounded by perfectly manicured gardens featuring stunning tropical flora. This resort is a tranquil picture of beauty set against a backdrop of majestic mountains and a scenic view of the Pacific Ocean. 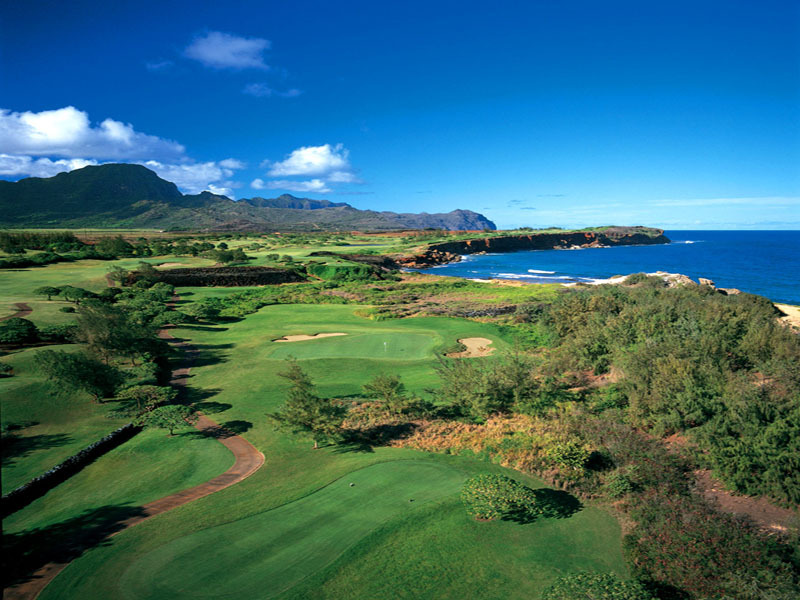 Ideal for the golf lover, Grand Hyatt Kauai Resort & Spa features an 18-hole champion golf course within its 50 oceanfront acres. Designed by Robert Trent Jones Jr. the resorts golf course features magnificent vistas throughout the ocean links style course and provides a challenge for all kinds of golfers. Golf isn’t the only thing this resort has to offer with an extensive list on on-site activities and facilities such as day spa, fitness centre and daily resort activities. 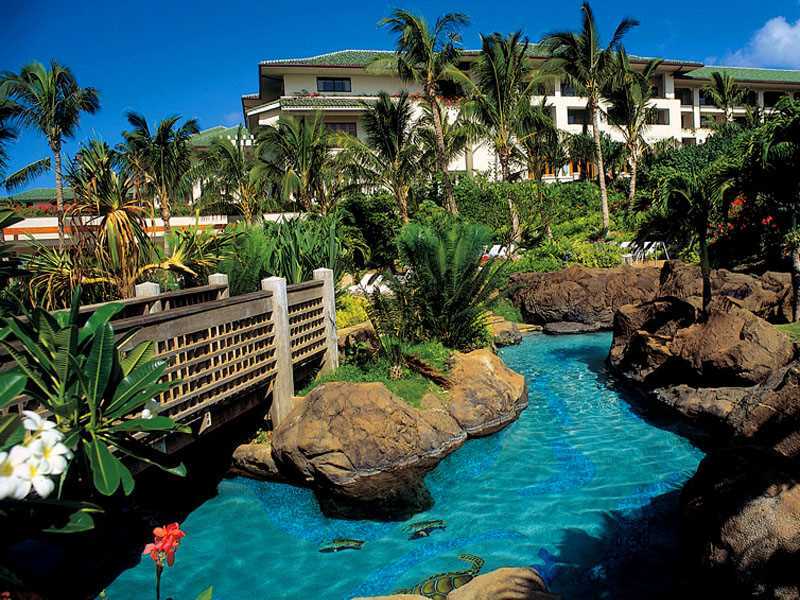 Rooms at the Grand Hyatt Kauai Resort & Spa are very spacious and furnished in a modern tropical theme. Inspired by the lush surrounds, the rich dark timbers are complimented by crisp white linen and a contemporary island decor. 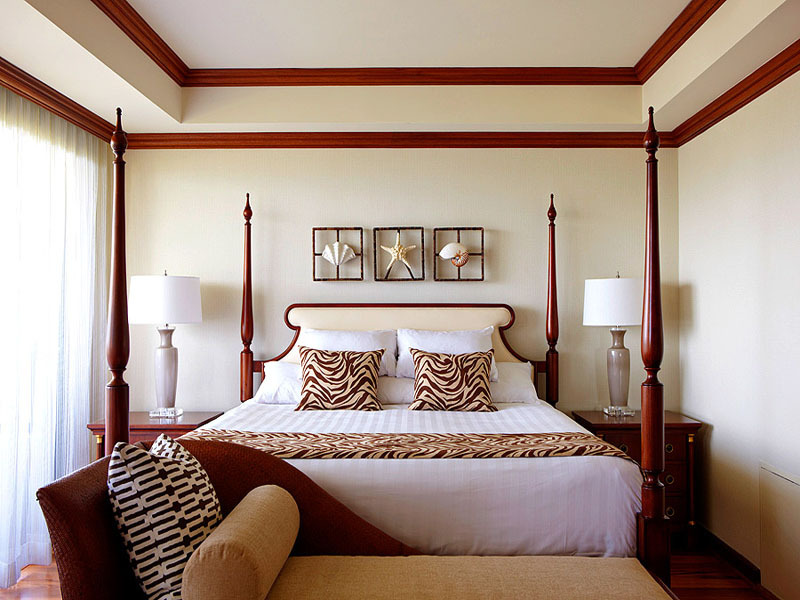 Enjoy your stay in either a tropical garden, ocean or deluxe-style suite. 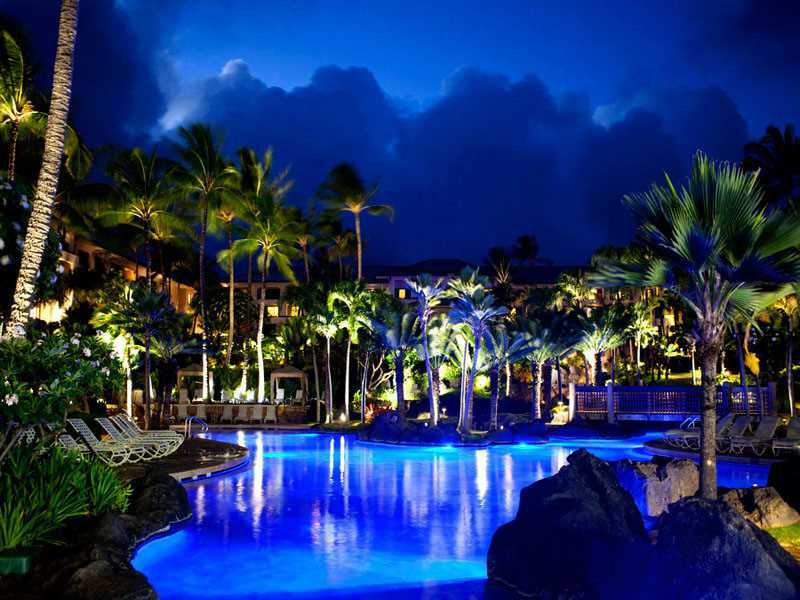 Located on the island of Kauai, Grand Hyatt Kauai Resort & Spa is set on the smooth white sands of Poipu balanced perfectly between the serene sea and the majestic mountain range. 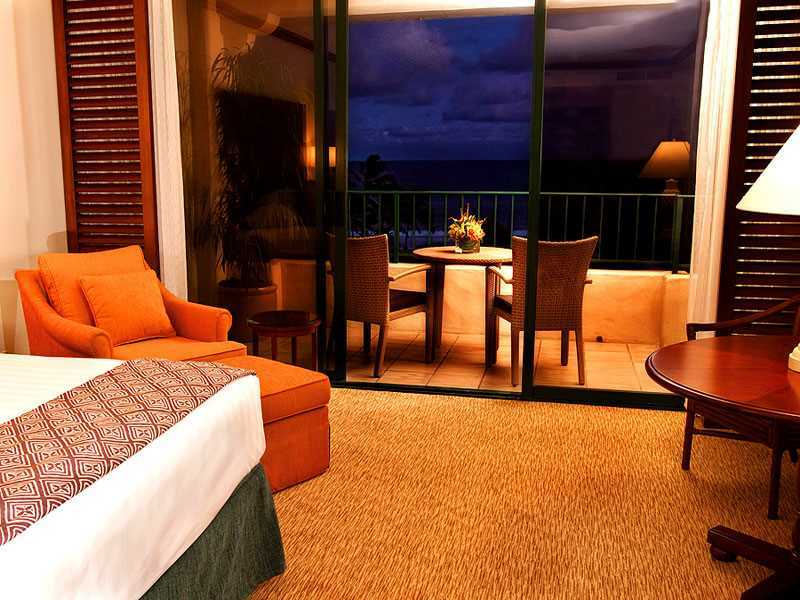 Take in the breathtaking views of the luscious tropical gardens and the stunning blue waters of the Pacific Ocean from your spacious and tastefully designed guestroom at Grand Hyatt Kauai Resort & Spa. 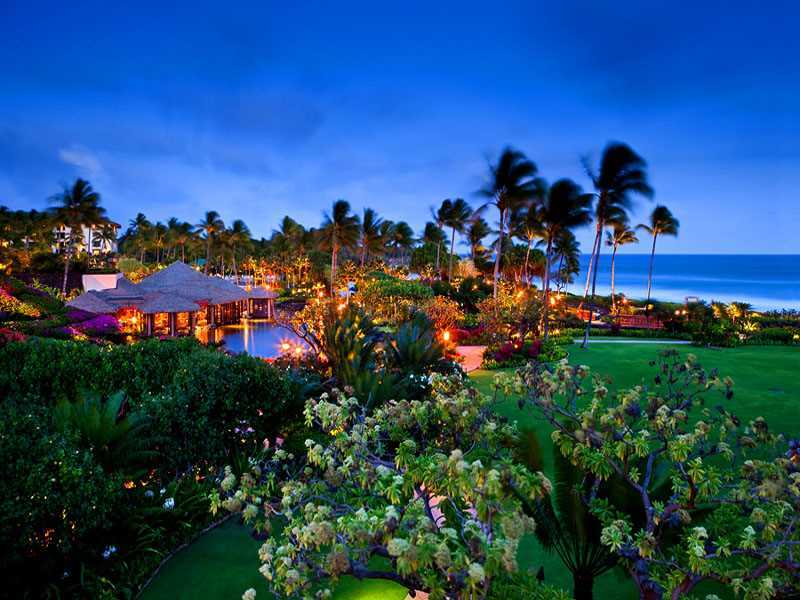 Unwind in a classic Hawaiian environment surrounded by manicured gardens, open courtyards, pristine pools and stunning championship golf course. Create your own personal paradise with the comprehensive range of activities and facilities within and surrounding Grand Hyatt Kauai Resort & Spa. Relax among the lush gardens on your private balcony in a Standard Room. Listen to the sounds of birds singing as you kick back in your sitting area and appreciate the contemporary décor of your room and amenities such as deluxe bathroom products, in room coffee and tea making facilities, high speed internet access and so much more. This room is 46m2 & sleeps up to 4 guests. Watch your loved ones play in the award-winning pools from your private balcony of a Pool View Room at the Grand Hyatt Kauai. With rooms featuring one king or two queen beds, a sitting area, contemporary décor, deluxe bathroom amenities and high speed internet access, your Hawaii holidays will be enjoyed in comfort and luxury. This room is 46m2 & sleeps up to 4 guests. Take pleasure in the sweeping views from your own private balcony when you book this Partial Ocean View room. This beautifully-appointed room is 46sq. metres in size, featuring an ultra-comfy Queen or King-size Hyatt Grand Bed® complete with premium sheets and pillow tops. The spacious and elegantly-designed marble bathroom is fitted with a walk-in shower and double vanity. Other amazing in-room amenities include coffee and tea making facilities and a fridge, 37” flat-panel TV, work space, seating area and free Wi-Fi for the ultimate deluxe accommodation. Enjoy all the comfort and space that this modern room has to offer. It features a private balcony and lanai where you can indulge your senses in the gentle sea breeze while gazing at the sparking ocean below. This 46sq. metre’ room is also fully-furnished with either 2 Queen-size or 1 King-size Hyatt Grand Bed®, luxury sheets and pillow tops. A relaxing bath is always guaranteed when you step inside the marble bathroom with walk-in shower and double vanity. Other modern amenities include coffee and tea making facilities and a fridge, 37” flat-panel TV, work space, seating area and free Wi-Fi. Located on a 50 acre oceanfront on the sands of Poipu, Grand Hyatt Kauai Resort & Spa is on the secluded side of the South Kauai. The resort is about 25km from Lihue Airport. Immerse yourself in the abundance of things to do in Kauai and within the Grand Hyatt Kauai Resort & Spa. 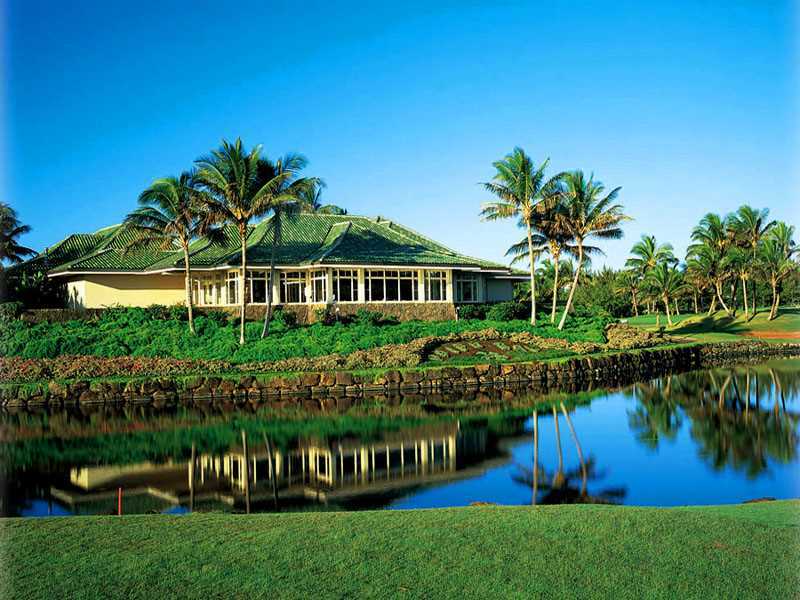 Start your day at the Poipu Bay Golf Course concealed between the gorgeous mountain range and the azure waters of the Pacific Ocean. Spend the day and play the full 18 holes or just play 9. Venture away from the resort and explore the impressive island of Kauai from a birds eye view with a helicopter tour over some of the most famous attractions. Explore the island on foot on one of the many hiking tracks. From the sandy beaches to the Waimea Canyon, there is hiking trails for casual strolls to challenges for experienced hikers and everything in between. Hawaii is the perfect destination for learning to surf a wave and there are several locations all over the island offering surfing lessons from professional and certified instructors whether you’re a pro or you’ve never surfed before. Head back to the resort for traditional Hawaiian entertainment every day. 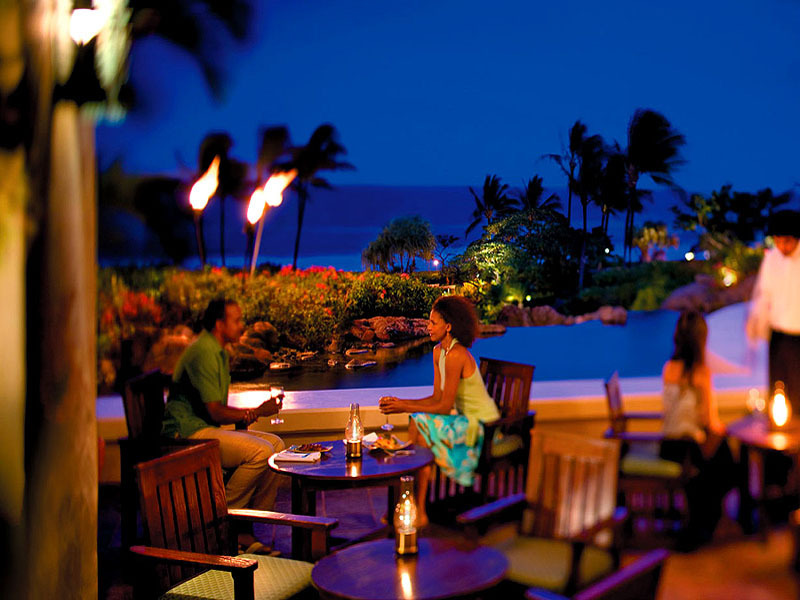 Discover the Hawaiian land and people through traditional dances held at some of the resorts restaurants. Unwind at Anara Spa with a relaxing treatment or unwind in the sauna or relaxation rooms. 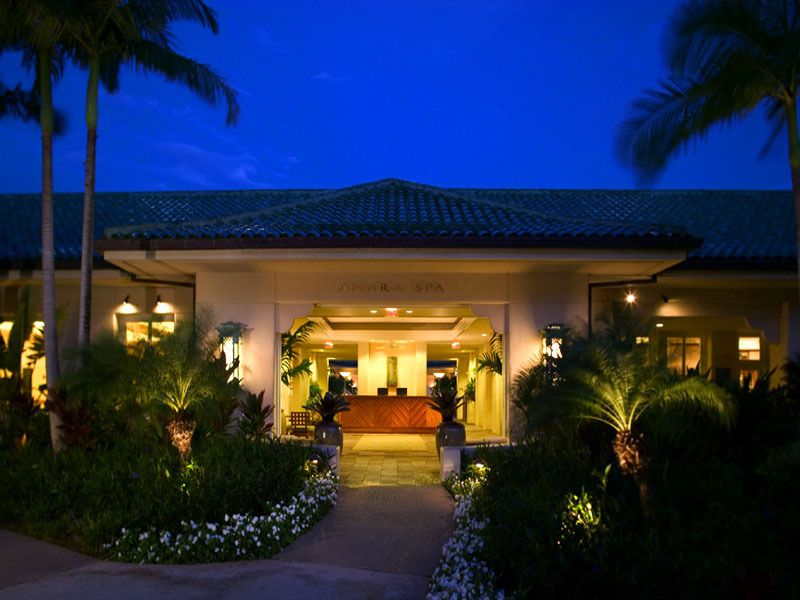 There is something for everyone at Grand Hyatt Kauai Resort & Spa! This property is simply amazing. So tranquil and lovely. Perfectly located with breathtaking views. Expectations were exceeded and we loved our time here. We will definitely be back.